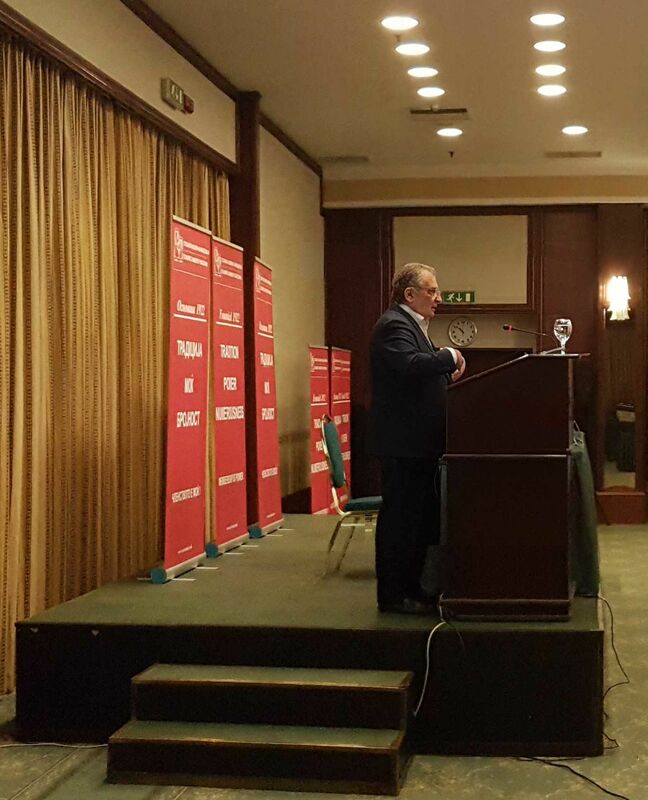 Vladimir Gligorov presented new wiiw study on Macedonian exports at the Economic Chamber of Macedonia. It was very well received. Also by the Prime and Vice Prime Ministers. The forthcoming wiiw report “Macedonian exports” by Vladimir Gligorov argues that expansion of exports in the years after 2008-2009 have supported growth and employment. Going forward, export based growth should continue to be in the centre of Macedonian economic policy. The overall macroeconomic policy framework has maintained stability; better targeted public investments should continue to support development. Measures which support increased supply of tradable goods are therefore key. Innovation and internationalisation of an already growing manufacturing sector should be the key vehicles. Also, active labour market policies and support of science and education with growing international cooperation are important. With that, the potential growth rate of the Macedonian economy should be about 4 percent which provides for sustainable catching up with the EU and with the EU standard of living. 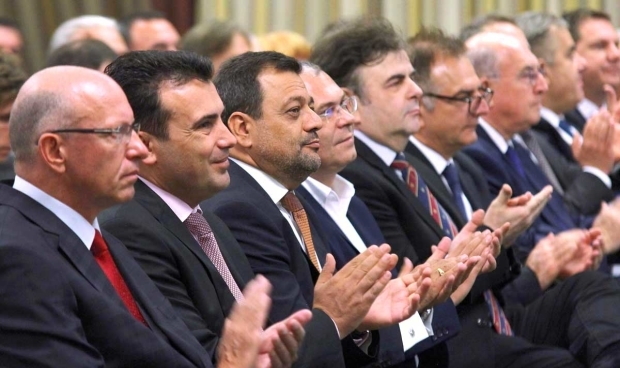 From left to right: Branko Azeski (President of the Economic Chamber of Macedonia), Zoran Zave (Prime Minister), Kočo Angušev (Deputy Prime Minister). The Macedonian Prime Minister Mr. Zoran Zaev, said that the study is a significant contribution to the policy of growth of Macedonia. He said that the government has adopted a plan for economic development which should also speed up the process of country’s EU integration. The key to the government’s strategy are investments, exports, and competitiveness of the private sector and especially of the small and medium size enterprises. The Deputy Prime Minister for Economy, Mr. Kočo Angušev, supported most of the recommendations from the wiiw study and emphasised the need to increase the openness of the Macedonian economy (in terms of exports to GDP). He outlined the government’s programme which should be based on three pillars: support for firms that invest, support for exports, and additional support for small and medium size firms. Those measures should be based on performance and be available to foreign as well as domestic investors without bias.